That job summary, which is T. H. L. Parker’s description of Calvin as a preacher, reveals something of the challenge of preaching the Word. Every preacher knows how difficult it can be to keep rising to that challenge, “in season and out of season” (2 Tim. 4:2). 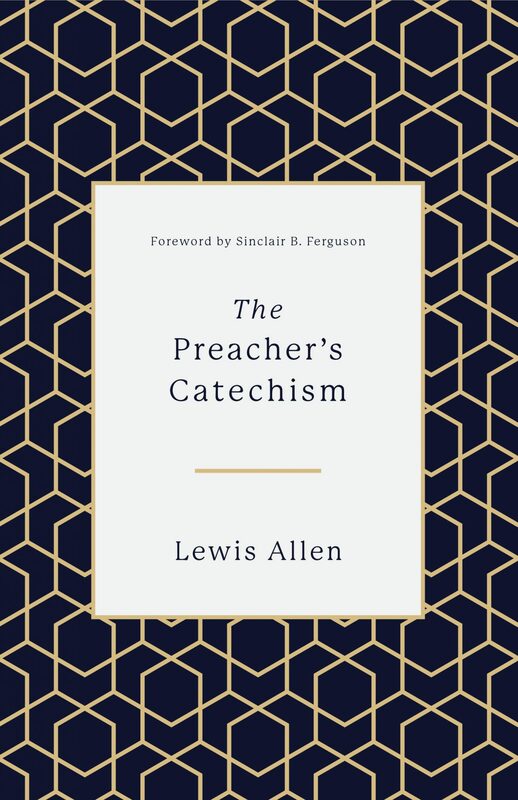 We need encouraging voices in our ears, and Lewis Allen, author of The Preacher’s Catechism, is one of those voices. In 2010 Allen and his large family left the comforts of West London, where he had pastored Gunnersbury Baptist Church for 12 years, to plant Hope Church in the grittier surroundings of Huddersfield, Yorkshire. By some estimates there are fewer evangelicals in Yorkshire than in Japan. This wide-ranging pastoral experience has given Allen a clear view of the sunlit peaks and dark ravines of a preacher’s calling. As he said in a recent TGC interview, “Ministry will break you. It will break your self-reliance, your expectations, your emotional and mental balance, and it will break your heart, over and over again. And all of this is good.” That kind of realism, along with Allen’s varied ministry background, will lead many preachers to think, Here’s a man who knows what I’m going through. I want to hear what he has to say to me. Crossway (2018). 224 pp. $22.99. The Preacher’s Catechism uses the format of the question-and-answer catechism, developed by the reformers. (Prior to the Reformation, catechisms were declaratory rather than interrogatory.) Given the global enthusiasm for the recently published New City Catechism, this is a superb format for a new book on preaching. Many preachers need to be dragged away from the quick thrills of social media, and The Preacher’s Catechism demonstrates how much can be gained by turning to the riches of the church’s written heritage. Many preachers, this reviewer included, need to be dragged away from the quick thrills of social media, and The Preacher’s Catechism demonstrates how much can be gained by turning to the riches of the church’s written heritage. It’s refreshing to find a book about preaching that is brutally honest about the preacher’s life—“our fretful Saturdays, overwhelming Sundays, and washed-out Mondays”—while also supplying salve for the wounds. Yet The Preacher’s Catechism stops short of being the spiritual classic it might have been—and perhaps could be in a future revised edition. One problem area is the question-and-answer section that heads up each of the brief chapters. A catechetical question is traditionally an appeal for doctrinal information, which is then duly supplied by the answer. The purpose is explanation rather than exhortation—“What is homework?” rather than “Have you done your homework?” But Allen doesn’t always follow this model. Chapter 41, for instance, begins, “Q. Do we go home on a Sunday praying for God’s will to be done? A. We must pray ourselves and our hearers into a trusting contentment.” It needs to be said that this isn’t how catechisms are supposed to work. Another issue with the question-and-answer combinations is the lack of uniformity. Most of them mention preaching, either in the question or the answer, which makes perfect sense given the nature of the book. It’s therefore jarring to come across a few general questions such as “Who is God?” or “Why do we celebrate baptism?” or “What is prayer?”, with answers that likewise make no reference to preaching or preachers. It’s hard to escape the impression that the actual catechism part of The Preacher’s Catechism could have been crafted with greater care. “Where the heart sins, the mind and then the body will always follow.” But surely some sins can stay in the heart, such as the adultery and murder Jesus speaks of in the Sermon on the Mount? “Adam was called to be a preacher. He was set apart by God in the garden to declare God’s truth to creation.” There’s no Scripture reference given to substantiate that claim. “The sins we feel safest about usually turn out to be the ones that have us by the throat.” Sometimes, perhaps, but “usually” is an overstatement. A third problem is with logical flow. Readers need to trust that what they’re reading will reward their close attention. This contract of trust is weakened whenever there’s a needless change of direction or an internal contradiction, and unfortunately that happens on multiple occasions in The Preacher’s Catechism. In the chapter “Called to Preach,” for example, Allen refers approvingly to Calvin’s assertion that the call to ministry has two core features: the individual’s inner compulsion and the church’s recognition of the candidate’s suitability. But the chapter closes with three further observations about the nature of the call, and Allen then remarks, “These are the three essential marks of God’s call.” What happened to the two features identified by Calvin—are they now non-essential? That’s probably not what we’re meant to think, and so the chapter ends up seeming disorderly. It feels rather Grinch-like to mention the above problems, let alone discuss them in detail, because The Preacher’s Catechism is a much-needed book. Allen quotes James Alexander’s comment: “I fear none of us apprehend as we ought to do the value of the preacher’s office.” The Preacher’s Catechism will inspire and fortify anyone wishing to prove that statement wrong.